We are a professional and proactive firm of Chartered Certified Accountants based in the West End of Glasgow. We have welcoming, convenient, modern offices on Great Western Road, just West of Anniesland Cross, in what was originally the Knightswood Bus Depot. 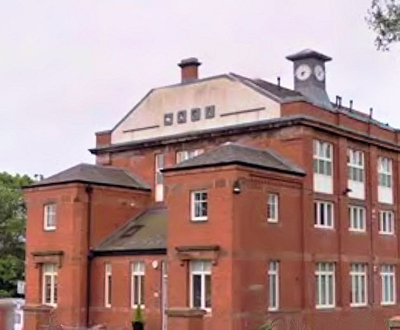 (It's the handsome red brick building with the clock tower on the roof) Having operated for many years from Glasgow city centre we fully appreciate how much time and money can be saved by having an office which is easy to access. What's more, we have free parking and no traffic wardens! We have clients all from all over the world but for those of you a little closer to Glasgow we are only a couple of miles from Bearsden & Milngavie and less than 5 miles from Glasgow City Centre. With great transport links to the M8 (3 miles), M74 (7 miles) and M77 (6 miles) we are easy to reach from all sides of Glasgow and the Central belt of Scotland. New cloud based accounting software means that geographical location is becoming less and less important; we still love to see our clients in person but for those of you further away almost all accounting can be done online if that’s what you would like. Cloud accounting specialists mainly using QuickBooks Online but we also have clients using Xero, Sage One, Kashflow and FreeAgent. We are prepared for Making Tax Digital (MTD), are you? If you haven’t heard of MTD then call us for more info. In 2017 we were joined by Douglas Tainsh B.Sc CA who has run a successful accountancy business in Giffnock in Glasgow’s Southside. Douglas brings a wealth of experience to JCWallace & Co.